Patrick Schwerdtfeger is a member of my Northern California mastermind group. 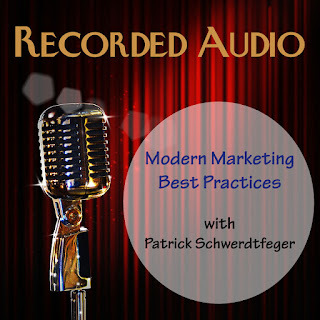 A few years ago, Patrick presented at my SMB Online Conference on the subject of Modern Marketing Best Practices. Check it out on the Audio/Video page at SMBBooks.com. Originally delivered at the 2012 SMB Online Conference. This program is fifty minutes in length, delivered as a zip file with MP3, slides, and handouts. Patrick takes a unique approach to Social Media. He starts out by stating that most of the 100 million people on Twitter are wasting their time! But a few people and a few companies are having extreme success with social media. What separates these two groups? And more importantly, what is the legitimate role of social media in positioning yourself as an expert? What do prospects do today when they consider hiring you? The do an Internet search! How do you show up? What is your online image, you Facebook profile, your LinkedIn profile, and your Twitter profile? This presentation covers some great, simple techniques you can use to take your social media presence to the next level. And most importantly, he shows that almost no one is doing this effectively. 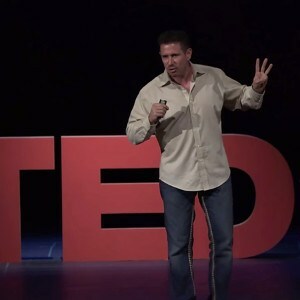 Patrick Schwerdtfeger is a professional speaker. He is also an author and Social Media Expert. See more about him on his site - www.patrickschwerdtfeger.com. Patrick is a regular speaker for Bloomberg TV. He has spoken about business trends, modern entrepreneurship, and the social media revolution at conferences and business events around the world. He has been featured in The New York Times, CNN Money, Fortune, Bloomberg, Businessweek, the Associated Press, MONEY Magazine and Forbes, among others.